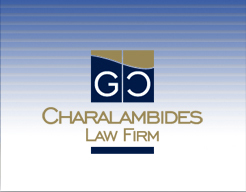 GEORGE CHARALAMBIDES & CO LLC was established by Mr. George Charalambides in 1975. Over the many years of practice, we have built a reputation based on proven professional skills, a thorough understanding of client requirements, a practical approach to solving commercial problems, commitment, excellence and integrity. People are the heart of our business. We emphasise in creating long term relationships with our clients and supplying our experienced staff in delivering to a diversity of demands. We offer breadth and depth across every facet of corporate and business law and the challenges of the global economy. We are excited about the future, about how we can innovate with our clients in ways which can be mutually beneficial. Strategically located in the Eastern Mediterranean, Cyprus is often referred to as the stepping-stone to Europe, Africa, and the Middle East, attracting foreign investors with its favourable taxation regime (12,5% Corporate Tax). Cyprus has been a member of the European Union since 1 May 2004 and is a member of the Economic and Monetary Union of the European Union. Limassol, is on the Southern Coast of the island, and is a renowned primary offshore business centre with support facilities that compare favourably with those of the best-established business centres in the world. All these circumstances have allowed our firm to develop a diverse and interesting profile over the years, dealing with both foreign and domestic clients. Our membership in Lawyers Associated Worldwide (LAW), a global association of 100 independent law firms located in over 180 major commercial centres worldwide, allows us to service the legal needs of clients that are expanding their operations and relationships into new domestic and foreign markets owing to the increasing globalisation of the business world. Members of LAW are among the most prominent law firms in their respective jurisdictions, in both commercial and litigation practices We pride ourselves on the high professional standard of our lawyers, reflected in the distinguished quality of their legal work, and their other contribution to society.